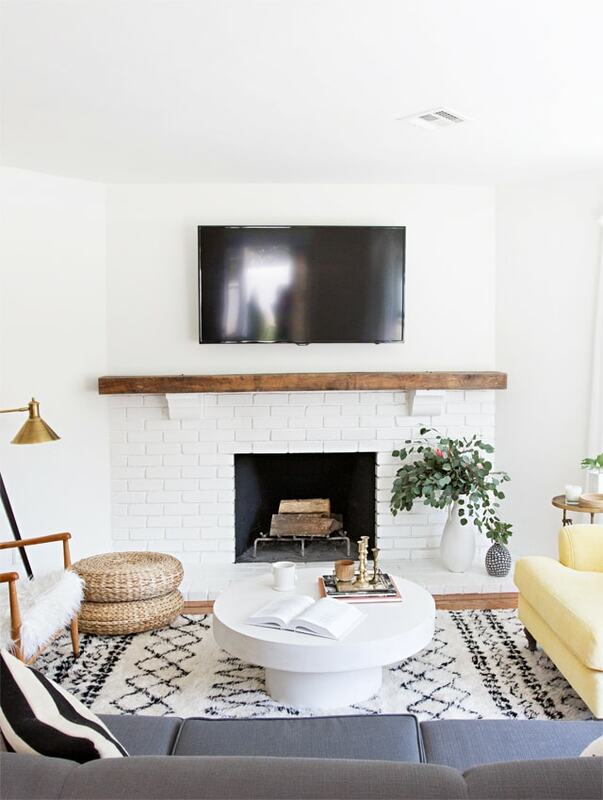 Looking for fireplace ideas to update an outdated fireplace or design a new one? 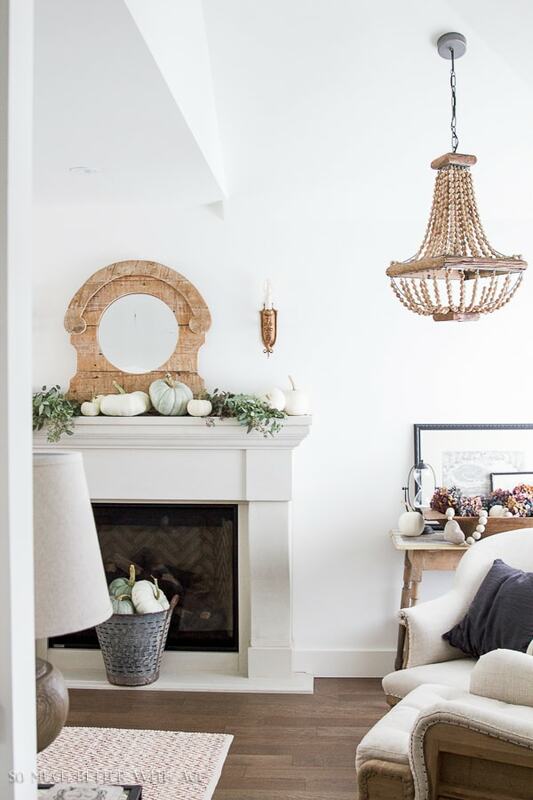 Trying to find the perfect mantel inspiration for your fireplace? 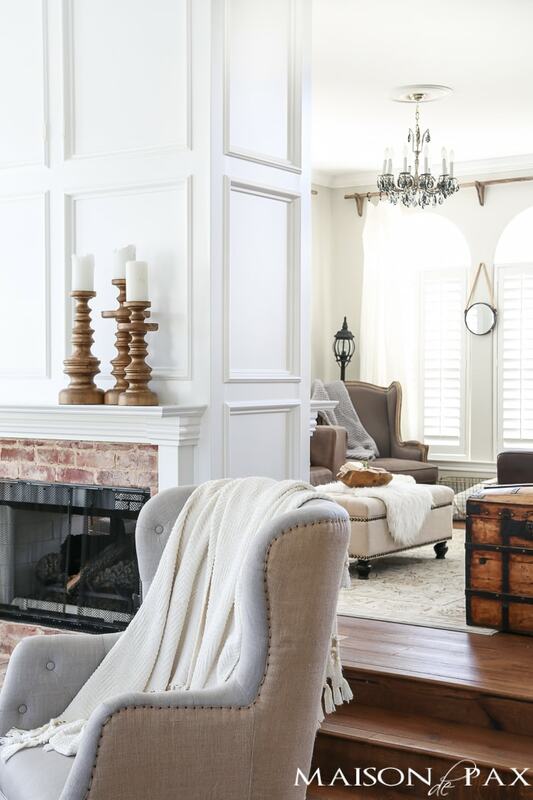 Here are five gorgeous fireplace and mantel options: painted brick fireplaces, precast fireplace surrounds, reclaimed wood mantels, white millwork mantels, and even faux fireplaces made with antique mantels. With the recent near-arctic temps we’ve had here in central Texas (ok, so maybe it’s only got down to 21°, but that’s practically the same thing, right?! 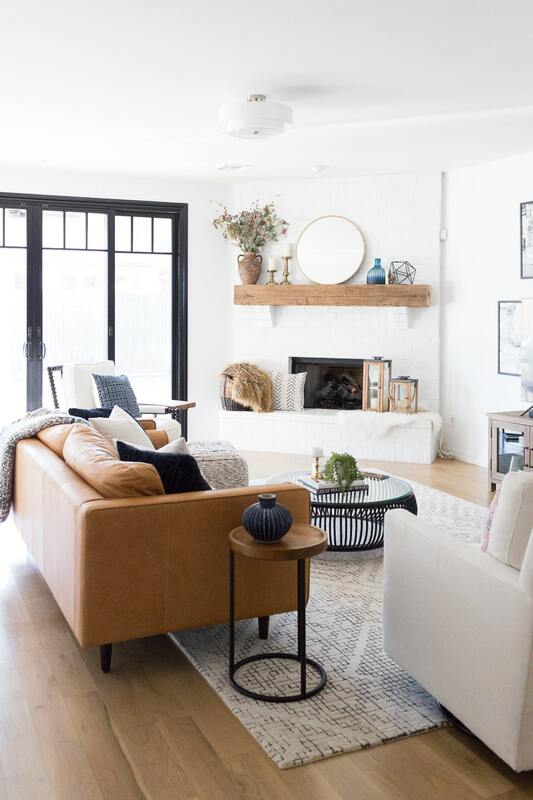 ), I’m even more in love with fireplaces than I’ve ever been… They can be such an incredibly beautiful focal point of a room AND a gathering place for warmth and love; so they’re pretty much my favorite thing. 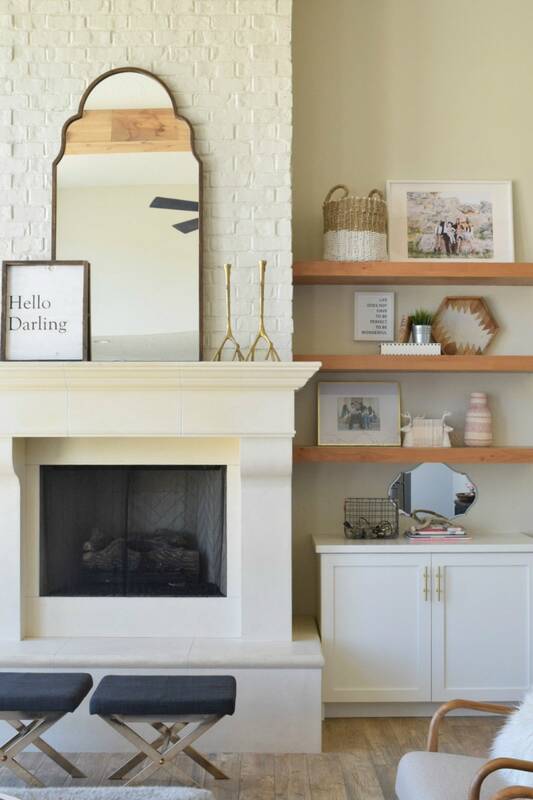 😉 If you have an outdated fireplace that needs a makeover or you don’t have one at all and are considering your options, here are some incredibly gorgeous fireplace ideas that have my head spinning right now. As always when I share inspiration like this, I have worked hard to find the original sources of these images and give full credit to the owners. Please, if you have questions (or just want to show your support for these incredible spaces), visit the links below and show these talented designers some love! I love painted brick not only because of its clean yet textured uniformity, but also because it is such a budget friendly update option! These precast stone surrounds add such an elegant, established feel to any space, and you can go super elaborate or rather simple… options abound. 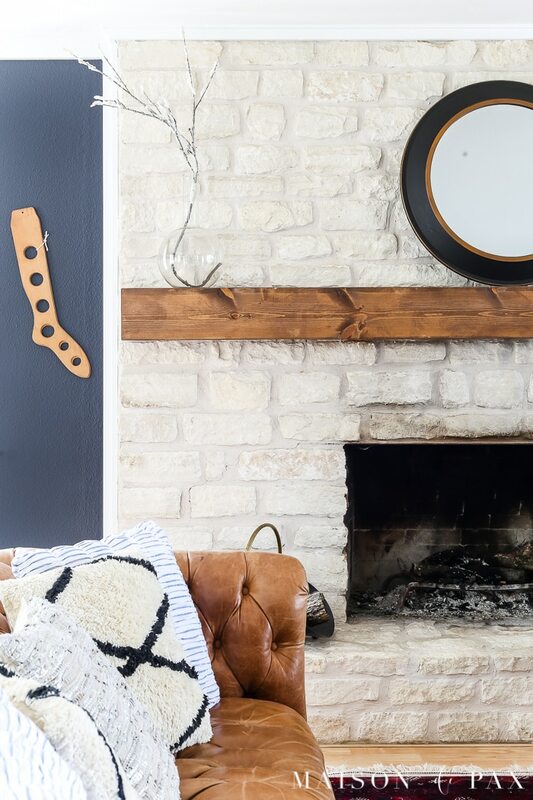 Whether you use a real hunk of reclaimed wood or fake it with a well-stained box, the chunky wooden mantel is a great look, especially for that modern rustic vibe. The classicist in me will always swoon for excessive white molding and trim work. 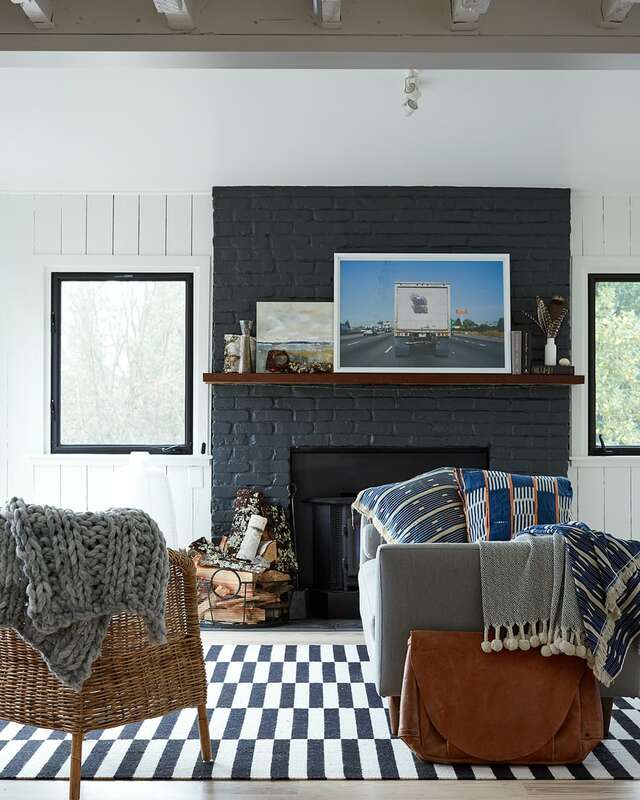 Block paneling, board and batten, layers upon layers of mill work… sign me up. No fireplace? No problem. 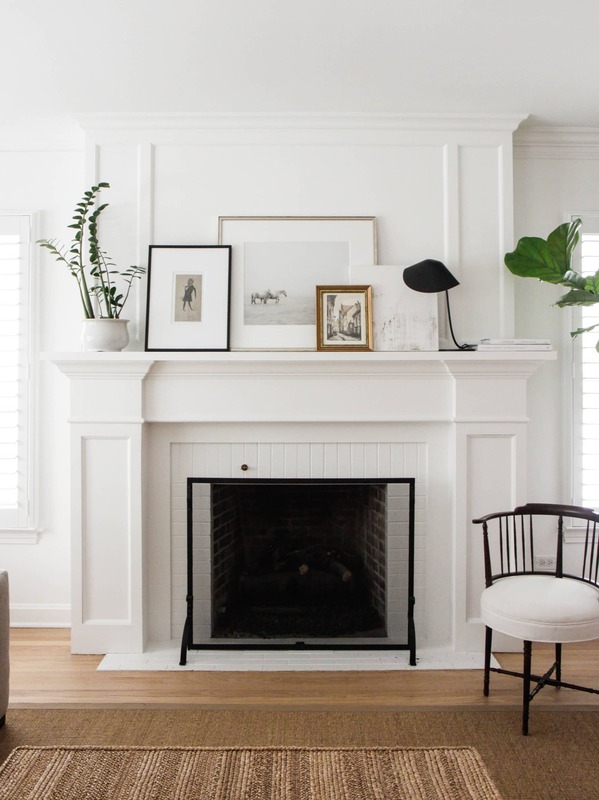 Grab a gorgeous antique mantel and just lean it against the wall; you can’t go wrong! So which kind is your favorite?! 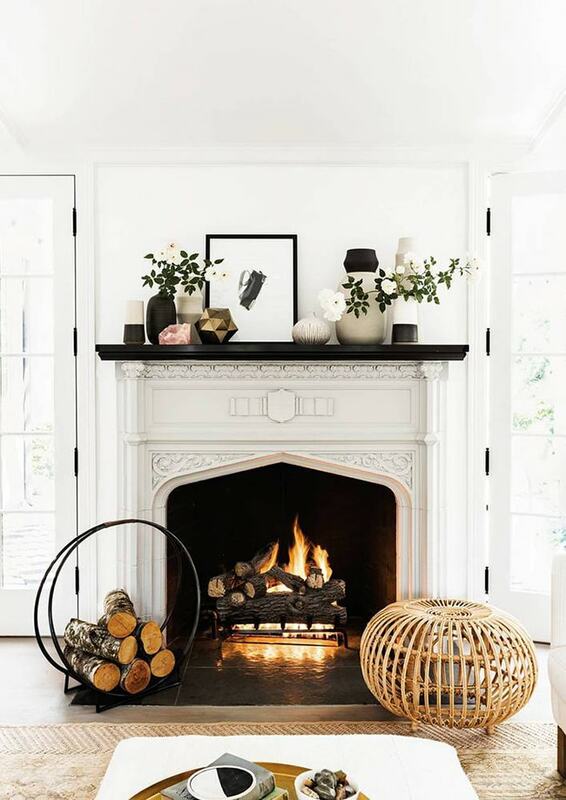 I think I might just need a home with five fireplaces so I can have one of each… that’s practical, right? Don’t forget to pin this for later! Such a great round-up my friend. 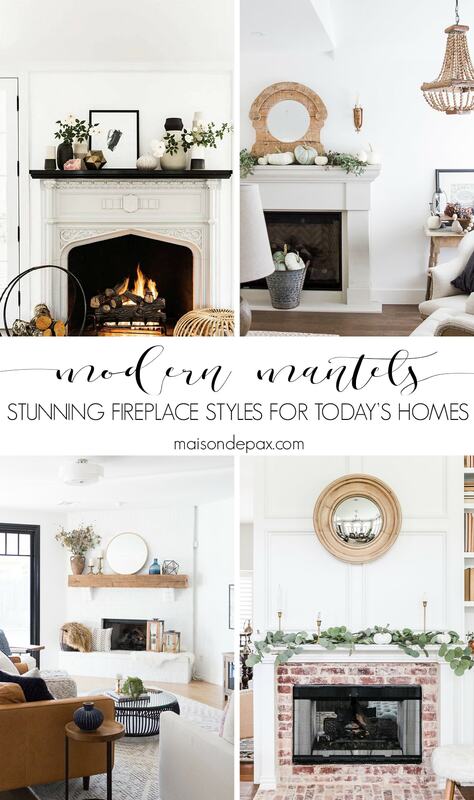 I love the different categories of the fireplaces and I’m honoured to be a part of it! 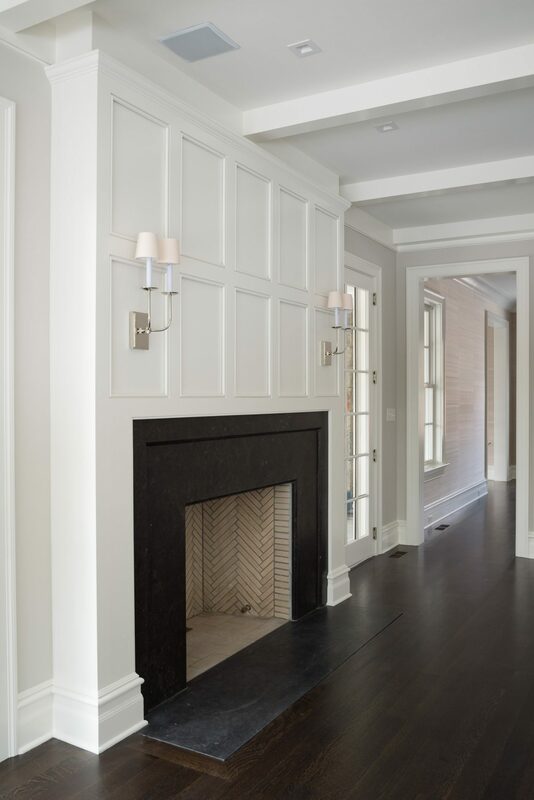 I’m drooling over the precast stone with the black mantel. Pinning these for future reference! Isn’t it amazing?!?! So glad you like them all! Thanks for sharing all of the fresh ideas. 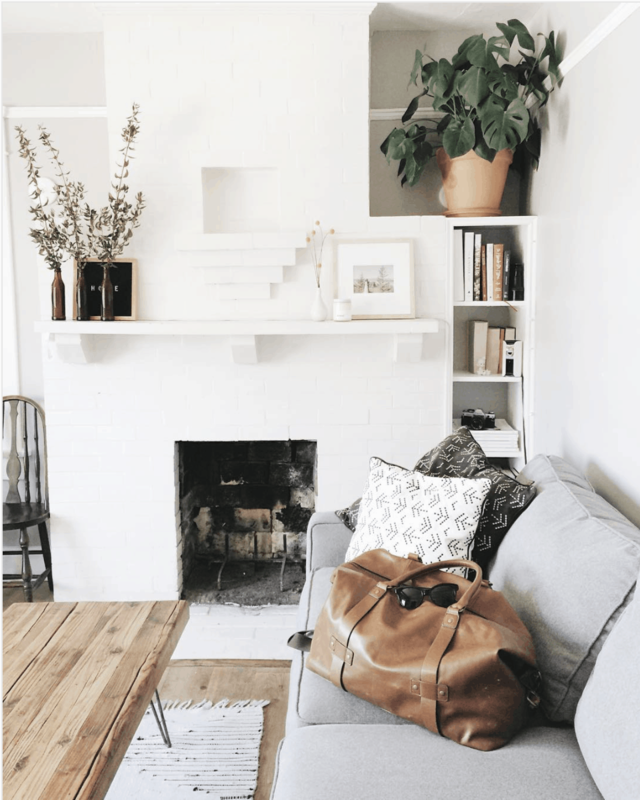 I pinned your post and a few specific ones to my Home Decor board. 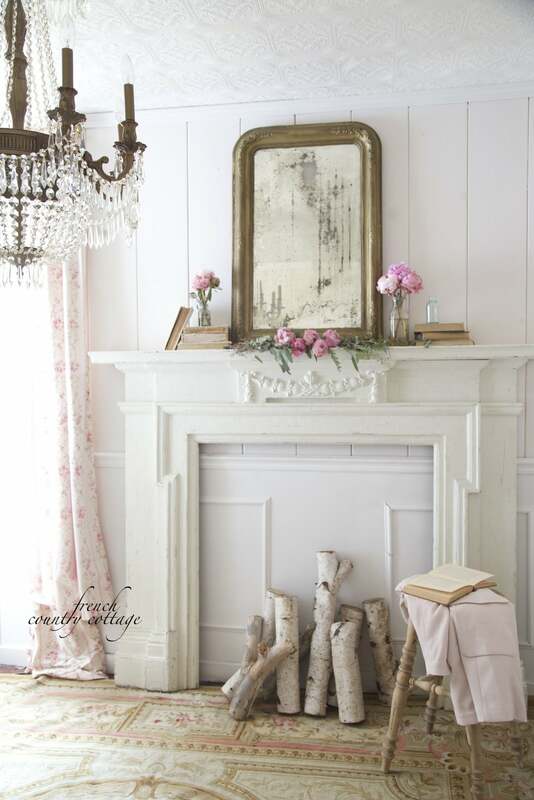 I like the idea of adding pink roses to what I currently have as my winter decor mantel for Valentines Day. 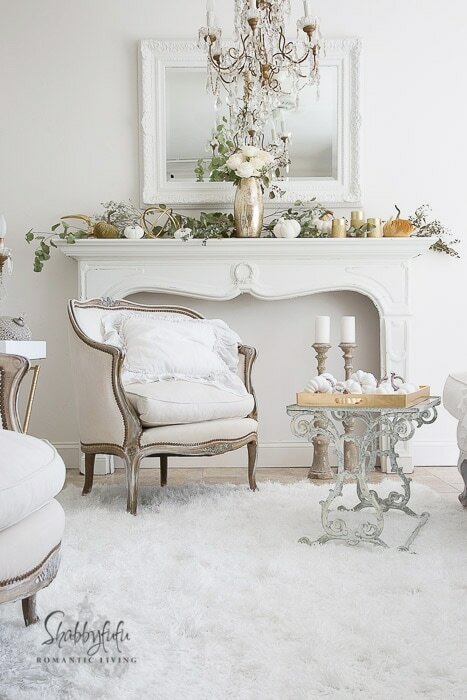 It looks so warm and romantic without being over the top feminine. Thanks for the ideas! I love all of them, too! They are all wonderful it’s hard to pick, but i like your idea. 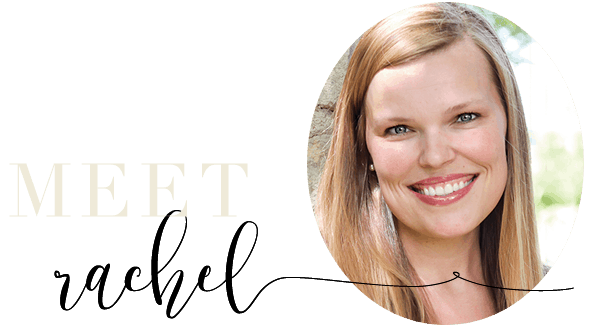 Oh, Rachel, this is a wonderful post for me and I can’t thank you enough for it! I seem to have quite a relationship with many objects, lol. 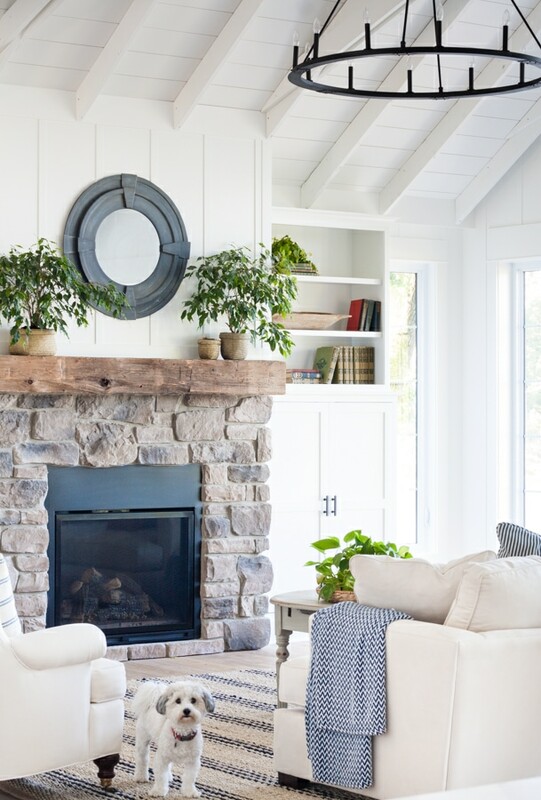 A fireplace fits in with so many things that I LOVE, mainly the light, heat and color. These samples are superb and I am grateful to you for them. TFS!